The older we get, the more we’re invited to all different kinds of celebrations. 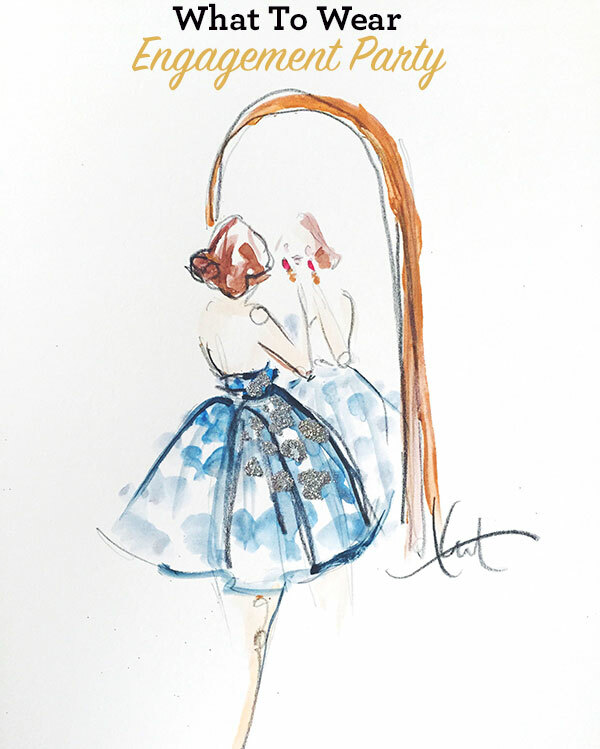 And whether it’s a wedding, a bridal shower, an engagement party or a black tie gala, the first thing we think of when that invitation comes in the mail is what we’ll wear. 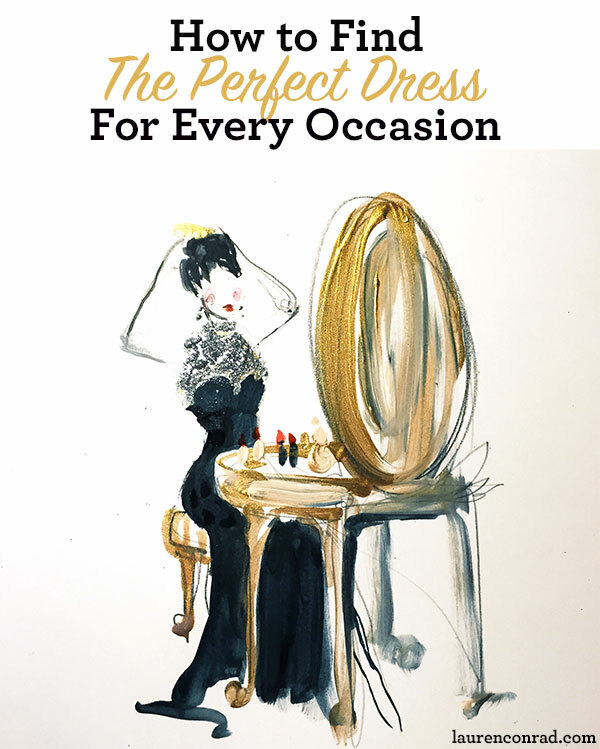 It can be a bit tricky to decipher exactly what the dress code is for all of these special soirees, which is where today’s blog comes in. For all of you who have a wedding, engagement party or black tie affair on your calendar, we’ve got you covered. We teamed up with our friends at Madison James to show you how to dress (as a guest) for these three very special occasions. You may remember Madison James from our blog back in January about how to find the best beauty looks to match your wedding gown. Well, it turns out that Madison James doesn’t only offer stunning bridal dresses… They also have an entire special occasion collection. If you’re looking for chic, sophisticated designs with splashes of sparkle and stunning silhouettes, you’re going to love these gowns. And the best part? There’s something for everyone, no matter what the occasion is. 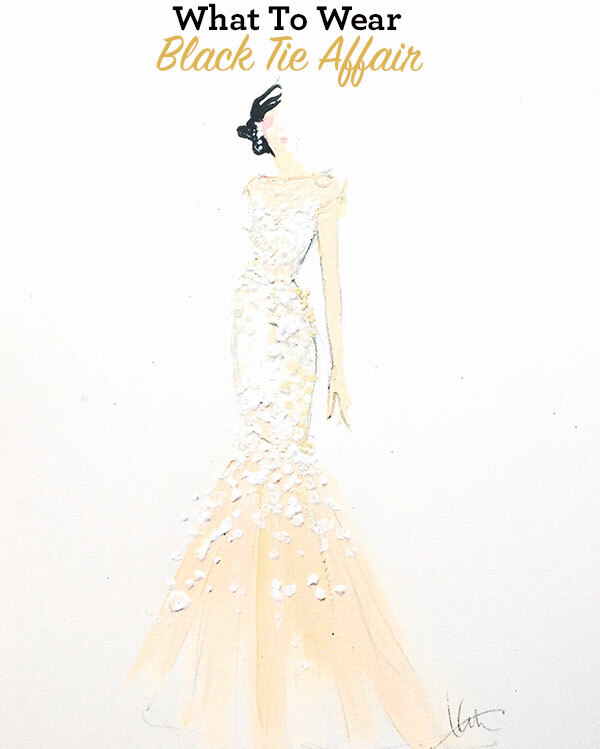 To give you a little extra special occasion inspiration, the amazing and talented Katie Rodgers of Paper Fashion has illustrated the gorgeous gowns from Madison James. 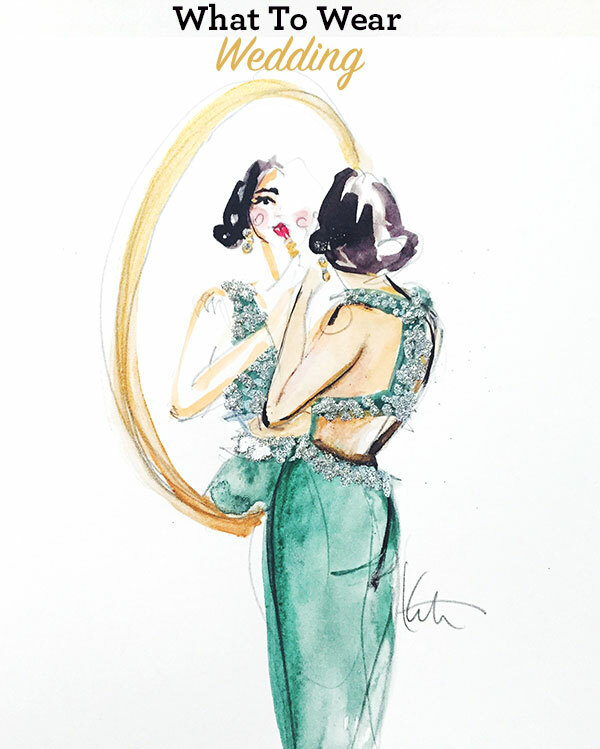 If these stunning sketches don’t get you excited for your next soiree, we don’t know what will. When is comes to being a wedding guest, the first thing you’ll want to do before you go out and buy a dress is check the dress code on the invitation. If it’s black tie or black tie optional, we recommend opting for a full-length gown. If the dress code is casual or cocktail attire, you can wear something a little less formal. Try a strapless chiffon sheath dress, like this one from Madison James. It’s classic, beautiful and is the perfect dress to dance the night away in. There’s no need to get too dressed up for an engagement party, so a short, flirty dress is the perfect pick. It’s chic, yet more casual than a full-length gown, and perfect for this kind of occasion. And remember: Don’t wear all white! That is reserved for the bride-to-be. This chiffon mini dress from Madison James is the perfect dress to wear to a friend’s engagement party. It’s playful, sweet and oh-so-stylish. We especially love the pattern on this pretty little party dress. If you’re headed to a black tie affair, it’s always best to opt for a floor length gown. But just because it’s recommended to wear full-length doesn’t mean you can’t have fun with it. We love dresses with embellishments, bows, beading, ruffles, and pretty silhouettes. This floor length black stunner from Madison James has a gorgeous lace appliqué detail on the bodice, and flutes out at the bottom of the skirt. You can’t go wrong with this classic look. Which Madison James dress is your favorite? Let us know in the comments!